Hummus has come a long way from its origins, much disputed in terms of their exact geographical location, in Egypt and the Levant. This recipe is from an old magazine cutting by Australian chef Skye Gyngell dating from when she cooked at the delightfully kooky Petersham Nurseries in Surrey, where the restaurant tables in old greenhouses sat next to [admittedly very designer-ish] plants for sale. She’s no longer there, sadly, but we still eat this in Spain. 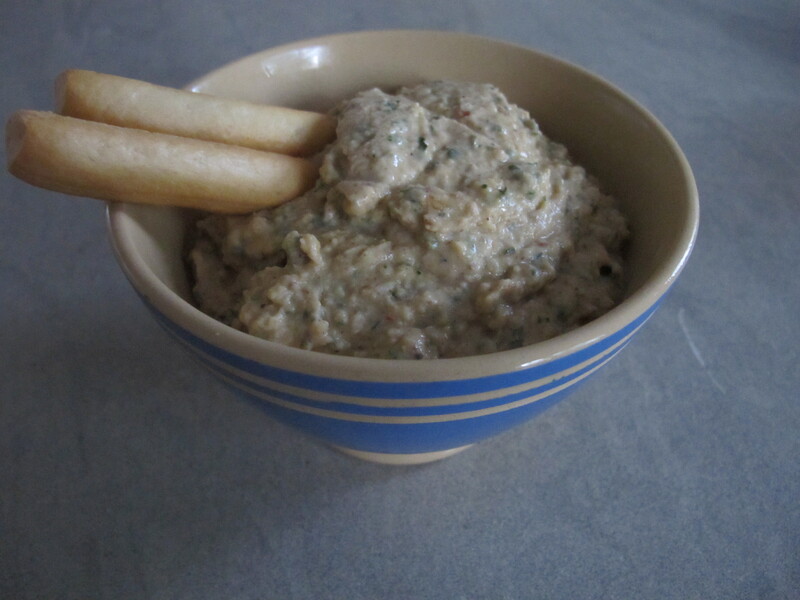 This dip has lost nothing and gained something in its journey from its tradition in Middle Eastern and Arabic cuisine, via Surrey and the southern hemisphere, to Andalucía. Indeed even Mercadona sells hummus now in its chiller cabinet, a version rather bland but acceptable when time is short. We eat Skye’s hummus for supper on those long hot August nights when you feel beyond food but know you should eat something, and during the Christmas holidays when we have just eaten too much rich stuff. This hits the right spot with a handful of bread sticks and raw carrot batons. And it has a kick. 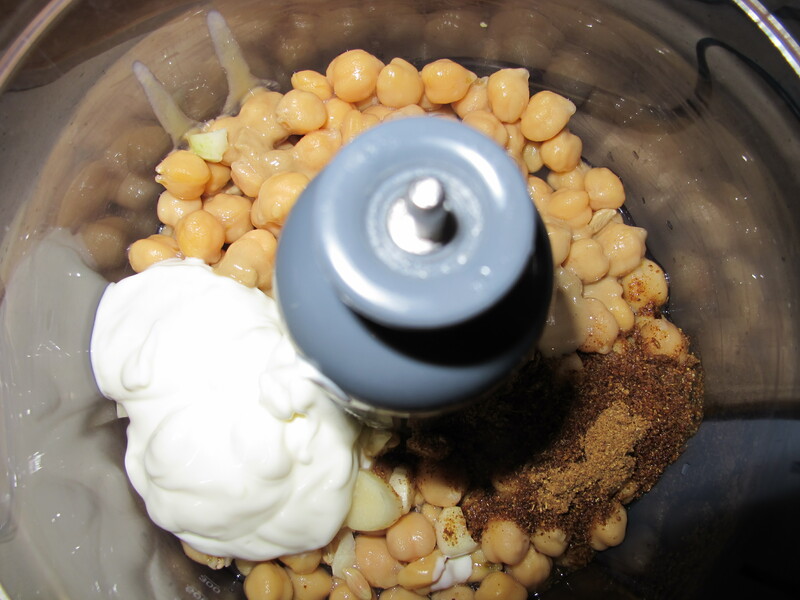 Sea salt and freshly ground black pepper Drain the chickpeas, if used tinned [or a Spanish jar], rinse too. Place in a food processor with the garlic and chilli flakes. 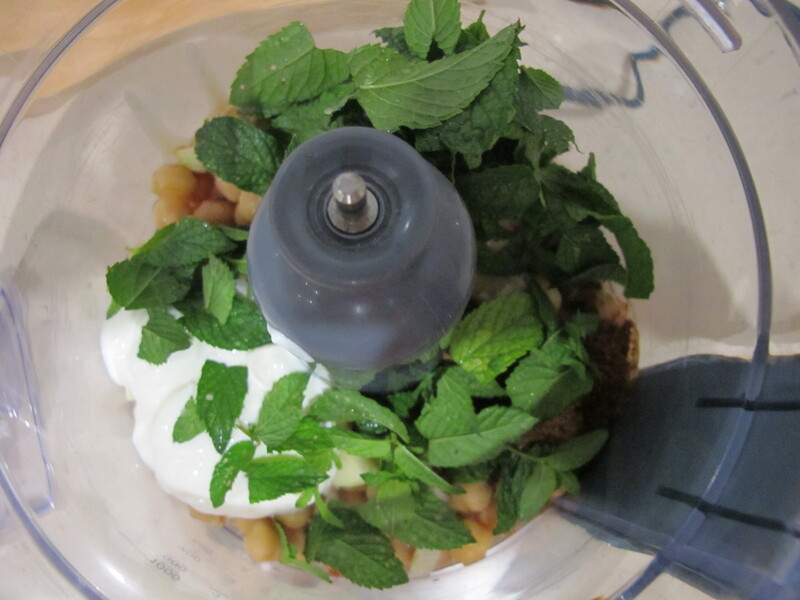 Chop the mint stems and leaves and add to the processor with all the other ingredients. Blend to a puree, but don’t over-process as some texture is nice. Place a heavy-based, dry frying pan [preferably non-stick] over a low heat. Break the cinnamon sticks in half. Once a clear smoke begins to rise from the pan, add the spices and cook, stirring frequently. Be careful not to burn them. Once the seeds begin to pop, they are ready. Remove from the heat. Grind to a fine powder with a pestle and mortar. Store in a jar or airtight container until ready to use. This entry was posted in A love of food and tagged Andalucia, food, living abroad, recipes, Sandra Danby, Spain, travel on January 2, 2014 by sandradan1. Love love LOVE houmous (whichever way you choose to spell it!). Tried making it once upon a time, not very successfully!